I really couldn’t figure out what kind of shoes I wanted, but my father said I had to decide or make a choice in the next ten hours. It was very hard for me to decide or figure out what one pair I wanted, so I asked him if I could have two, and he agreed. It took me the full ten hours to decide upon or select the pairs I wanted, because there were three pairs that I just had to have! Nevertheless, I did at last decide upon or choose the two pairs that I wanted, and left that poor third pair all alone. Quiz: Try again! What have you done when you decide upon something? You settle upon it and get rid of other choices. You hope to form a solid idea of what you want. You think and think and think about it, but cannot make up your mind. When you decide something you settle on it, make a choice, or form a thought about it. December Sleigh Ride I live in Vermont because I decided long ago that I would like to be able to take December sleigh rides. When you decide something you “cut off” all other choices in favor of one choice. 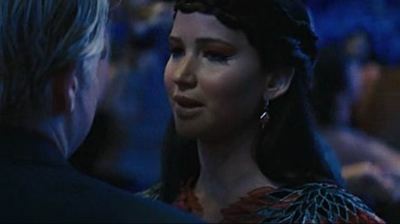 Mockinjay Seneca Crane either decided to stop breathing or he ate poisonous berries.